Beer lovers gather around! We are here to report that the 36th annual San Francisco International Beer Festival is upon us. 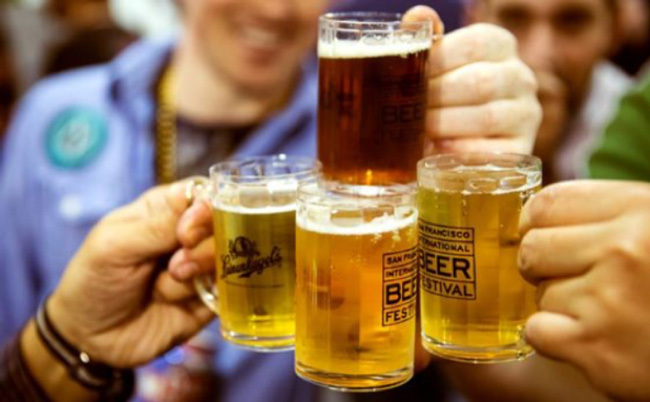 Taking place at The Fort Mason Center, Festival Pavilion on April 20th, this is your yearly opportunity to indulge on as much beer as possible within a three-hour period—that sounds like a challenge accepted! Recognized as San Francisco’s oldest and greatest beer festival, it is comprised of over 100 breweries from around the world and local favorites such as 21st Amendment located just down the street from ONE Mission Bay. Aside from your choice of ales, there is also unlimited food sampling from local restaurants, live music, trivia games and more! Hosted and organized by the parents of Telegraph Hill Cooperative Nursery School, this fundraiser is the one and only of the year helping to cover most operating expenses for the preschool. The festival offers two ticket options for you to choose from, click here for your choice of general admission or upgrade to VIP Brewmaster. Don’t miss out on this fun-filled evening dedicated to supporting a great local cause!